Introducing the Econo Mya Tango, a streamline Hookah with a rounded vase that comes in a multitude of interesting colors. The Econo Mya Tango Hookah is stored in a retail style box and is ideal for experienced Hookah users and Hookah Lounges. 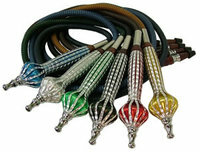 The Econo Mya Tango may be converted into a four hose Hookah by utilizing stem adapters that contain the auto-seal system. The Auto Seal system eliminates the need to use rubber stoppers and flip caps when there are multiple users smoking the Hookah. This Hookah may be used for both decorative and smoking pleasures, providing entertainment for years to come. 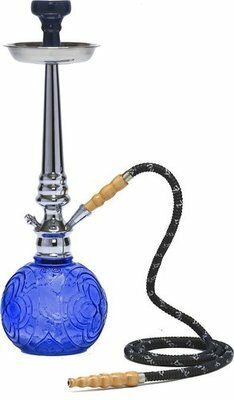 Multi Hose Capability This Econo Mya Hookah may be converted into a 2, 3, or 4-Hose model which utilizes the auto-seal system by purchasing additional stem adapters. Click Here to view and purchase the required Mya stem adapter.